Telemachus: Isn't The 'Best' Jobs Policy Just Getting A Job? When is a 'job' a 'good job'? Usually when you have one. As opposed to when you don't have one. But the importance of 'having a job' can not be underestimated, can it? Without a job, a person can't support him/herself; his/her family and generally suffers from a lack of identity and a certain air of dignity. We have all experienced this from time to time, especially over these past 5 years. If you haven't, thank your lucky stars or God Above. We were struck recently by a story we saw over the weekend regarding the Evans Caddy Scholarship Program during the BMW PGA Championship in Denver, Colorado. Many people think being a caddy on a golf course is a low-level, demeaning job. It is usually very hard work often lugging 2 huge golf bags on both shoulders for rich white guys at fancy clubs in the morning and afternoon in awfully high heat and humidity across much of the nation during the summer. 'Looping' some people call it. 'Hard as hell' many younger caddies call it. Caddies went the way of the dodo bird for the most part in the mid-1970s as more and more golf courses went to renting golf carts because they could make more money and get more golfers around the course in less time. There are still some clubs around the nation that still use caddies but they are few and far between compared to 50 years ago. But caddying also deteriorated because of the public perception that it was 'beneath' anyone to do in modern-day America. Some people consider caddying 'hard demeaning work'. Some even go so far as characterizing it as 'white men keeping young African-Americans down on the plantation' which seems a bit excessive to be honest about it in 2014 America. Caddying is a very hard, sweaty, tiring manual labor job, there is no question about it. But is the deterioration of caddying a 'good thing' or not for America and America's youth, especially during the summers when they need a job of any kind? 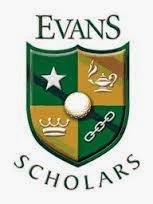 The Evans Caddy Scholarship program has sent over 10,000 caddies to college on full scholarships. 10,000 full college scholarships paid for by mostly rich white guys who have made money and been successful in business, law, medicine, academia, you name it. Isn't that an indication that rich mostly white people can at least sometimes do very good things with their money, time and effort? After all, when was the last time you heard that a poor person was able to set aside a couple of million dollars and set up a scholarship that could help thousands of other people down the road? It would be next to impossible to do, yes? Most of the time, business people in America are their own worst enemies. They don't tell their positive stories often or well enough. And when they make mistakes, they are so mind-numbingly clay-footed and tin-eared that they deserve all the ridicule that can be heaped up on them. Cue any news story on the collapse of Wall Street in 2008 and 2009. You'll see what we mean. Here's a classic case of the private sector providing entry-level jobs for mostly young people that achieves many social goals most of us say we want to see any way we can get them. On top of learning how to be a good caddy; show up on time, be polite and respectful to others, read the greens; find the errant tee shots and managing the money and tips they get each summer, every caddy doesn't face the complete opposite of what they see today: not working every day for instance. Isn't that a far sight better than any social welfare program or after-school basketball league the taxpayers can and have been asked to fund over the years? What do you think a young person learns on the golf course when they see a golfer such as Cameron Tringale call a penalty on himself and forfeit $50,000 in earnings as recently happened on the PGA this summer? It is a far different lesson learned than watching Ray Rice slug his girlfriend in an elevator, isn't it? The entire nation would benefit from golf courses and clubs doing away with electric carts altogether and reinstating caddy programs for their members and guests. #1: You would get more exercise walking than riding a cart and flailing at the ball 120 times or so during each round. #2: Young people of all races, creeds and colors would get a chance to learn what it is like to work really hard for hard-earned pay and most likely, avoid indolent summer days where there is no job. It is amazing to reflect on what the Evans Caddy Scholarship Program has done for these 10,000 young people over the years. It is also amazing when you realize it was started at the initiative of one man, Chick Evans, and 26,000 golfers voluntarily contribute $12 million annually to support the scholarship fund. They don't have to do that you know. They do it because it is the right thing to do and they chose to use their financial resources to make it happen. So the private sector does work, right? When you think about how many hundreds of thousands more young people could have the same opportunity if we put a premium on hard work once again in America instead of stigmatizing what used to be considered a good entry-level job for young people, you have to slap your forehead and wonder why this is such a hard thing for so many people to understand. *Online Etymology (further explanation of the word origins for 'job) 'of uncertain origin, perhaps a variant of gobbe "mass, lump" (c.1400; see gob) via sense of "a cart-load." Sense of "work done for pay" first recorded 1650s. Thieves' slang sense of "theft, robbery, a planned crime" is from 1722. Printing sense is from 1795. Slang meaning "specimen, thing, person" is from 1927. job. (1) A low mean lucrative busy affair. (2) Petty, piddling work; a piece of chance work. [Johnson's Dictionary] On the job "hard at work" is from 1882. Job lot is from obsolete sense of "cartload, lump," which might also ultimately be from gob. Job security attested by 1954; job description by 1920; job-sharing by 1972.